Play therapy in Natick, MA, is an important tool used by professionals to help children develop creative solutions to problems they may be experiencing and to learn to express emotion. 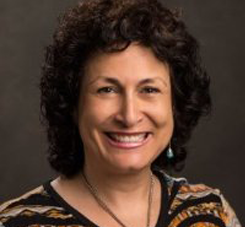 Rita Vatcher is a Registered Play Therapist who will address your child’s behavioral, emotional, or cognitive challenges and work hard with you and your child to develop effective strategies for managing your daily lives. Rita uses therapy based on Theraplay® principles which is a child and family therapy for building and enhancing attachment, self esteem, trusting others and joyful engagement. Theraplay® interactions focus on 4 essential qualities found in parent-child relationships: structure, engagement, nurture and challenge. To learn more about Theraplay® click here. Rita Vatcher is a Licensed Mental Health Counselor and Registered Play Therapist practicing in Natick and Framingham, Massachusetts. She has always loved working with children and her passion and dream is helping children achieve their goals. She has a BA in Psychology from Boston College, an MA in Pastoral Ministry and an MA in Mental Health Counseling, both from Boston College. We work closely with parents going over the process of play therapy and how it will benefit their children. A good deal of time is spent with parents getting a history and developing an assessment. The child and parents are equally important when it comes to successful play therapy sessions. As a parent, you are an important part of the process. Take steps to help your child today.